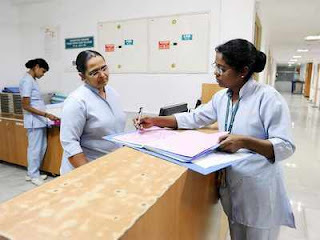 Tamilnadu Medical Services Recruitment Board (TN MRB) Nurses Recruitment 2019 has released, you can check from their official site. Find here complete details about it. Tamilnadu Medical Services Recruitment Board requires following posts to fill their vacancies. Check the latest job vacancy details below TN MRB 2019. Tamilnadu Medical Services Recruitment Board (TN MRB) 2345 Nurses Job salary details has been given below. The candidates can check various salary information below. Step 2: Search for Nurses notification link in careers/ Advertisements/ News page. Step 4: Check and verify your eligibility to TN MRB Recruitment 2019. If you are not eligible for the job notification, ignore and leave space for others.